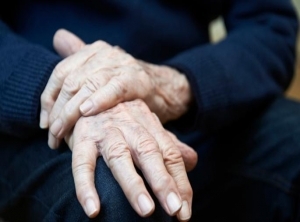 The federal government has committed more than $36 million to improve the lives of Australians with Parkinson's disease and help find a cure for the neurological disease. Health Minister Greg Hunt on Wednesday said $30 million will be provided over five years to the Garvan Institute of Medical Research to trial drugs to reduce the progression of the disease. The investment will mean up to 1000 Australians will be able to test the effectiveness of four repurposed drugs which Mr Hunt hopes will identify new treatment targets and medication. A further $6.8 million over four years will go to Primary Health Networks to improve access to specialised nursing care for people living with the disease. The nurses will provide clinical care to patients and will co-ordinate access to community based care to manage acute and chronic health problems. "Many of us have watched Parkinson's disease wreak its havoc on our loved ones," Mr Hunt said in a statement. "We know first-hand how critical the search for a breakthrough cure or treatment is and that's why research is so important." Parkinson's disease is the second most common neurodegenerative disorder in Australia with more than 100,000 Australians living with its progressive and debilitating symptoms.